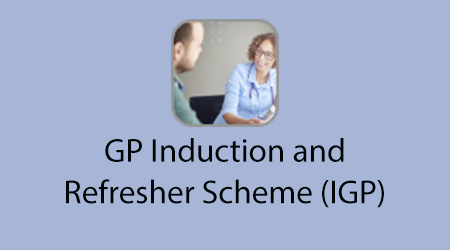 The GP Induction and Refresher (I&R) Scheme supports GPs who have previously trained in the UK and had a career break, or GPs trained abroad to work in NHS general practice safely. This e-learning programme supports the GP I&R Scheme and is aimed at GPs returning to work in the NHS who need an induction placement. The programme has been developed in partnership with Keele University and Health Education England. Published evidence indicates that after two years out of practice, a significant percentage of doctors fall below the necessary standard for independent practice. As part of the central application process via the National Recruitment Office (NRO), all applicants of the I&R Scheme undertake a formalised assessment through validated multiple choice question papers which assess knowledge and values. This is delivered through the NRO. Those scoring Band 5 demonstrate a very good level of knowledge. Applicants complete an induction placement and a Short Report is provided by their supervising practice. Applicants are also expected to complete this e-learning session which covers a range of aspects of current general practice in the modern NHS. If you already have an account with e-LfH, then you can enrol on to the GP Induction and Refresher programme by logging in to the e-LfH Hub, selecting My Account > Enrolment and selecting the programme. You can then access the programme immediately in the My e-Learning section.